Few “affordable” cars have stood for generations and developed a more loyal following than my tester this week. The Toyota Corolla is the car that introduces consumers to the Toyota brand, often making them life-long devotees. The 2017 model year saw a major refresh for the Corolla, so for 2018 all of that carries over with very few changes. 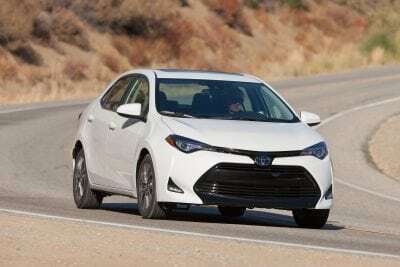 There’s a reason the Corolla has been around since 1966 and has sold tens of millions of cars. 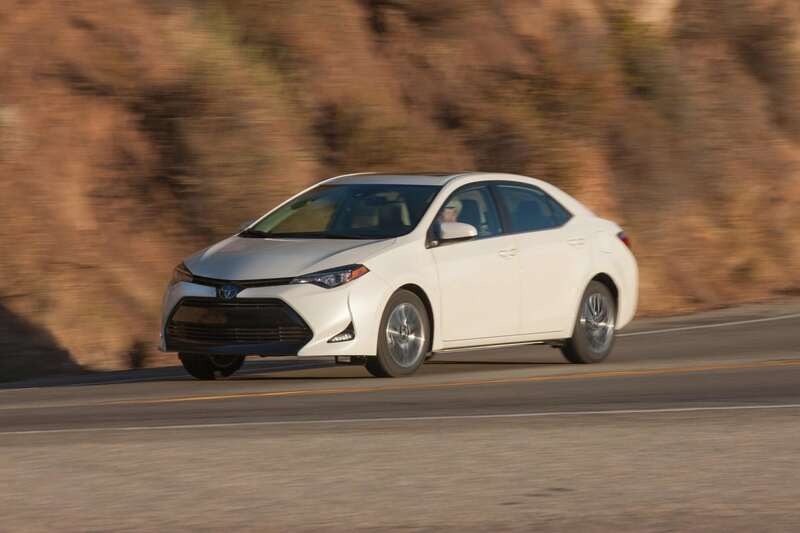 The Corolla is steady and consistent. Those are the positives, but some also say it’s boring with an uninspiring engine. That’s also true. You take the good with the bad. 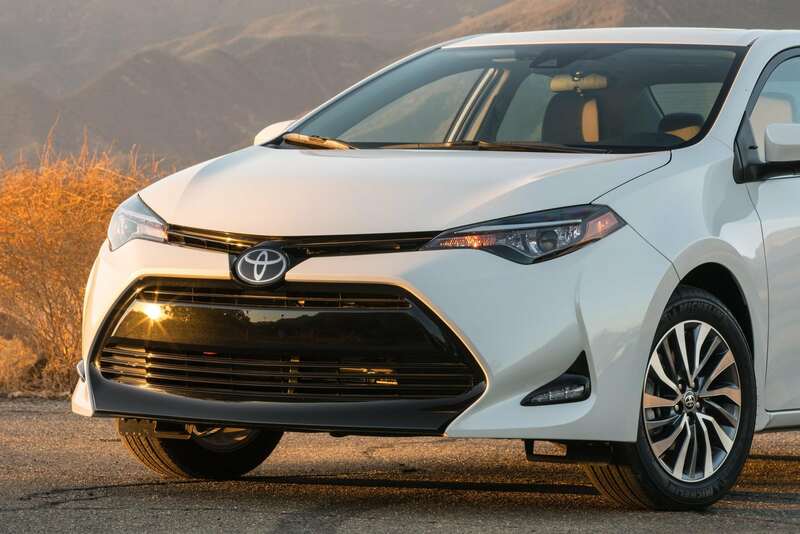 Considering the price point, you accept the Corolla for what it is, and not for what it isn’t. On looks, the Corolla remains modern, having gotten a slight face lift last year. It’s not aggressive-looking nor is the styling really inspiring, but it has an attractive grille and front end. 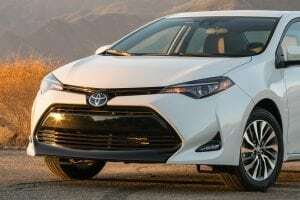 The styling on the side and the back is under played and certainly the front end is the best feature of the Corolla’s exterior. LED headlights are a nice feature and look good with the squinty head lamps on the front end. The Corolla has the basic of all basic engines. 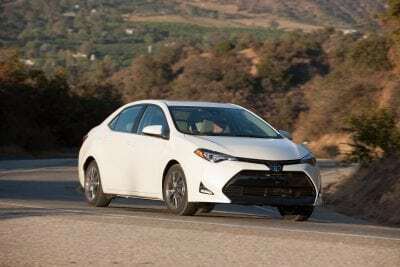 If performance or enthusiasm is what you look for, look elsewhere, otherwise look at the Corolla as an efficient, steady commuter car or great car for a young driver. 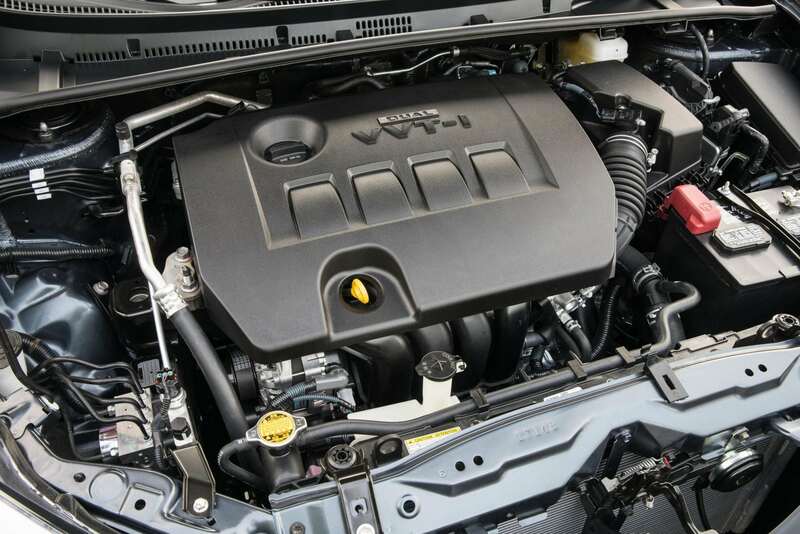 The 1.8-liter 4-cylinder makes 132 horsepower. And this time, it’s not an example of a car over performing its output numbers. 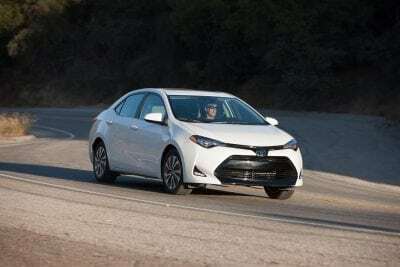 The pedestrian Corolla is slow off the line and is pokey. But again, it doesn’t try to be something it’s not. The continuously variable transmission does its job, and for a CVT it’s not bad. 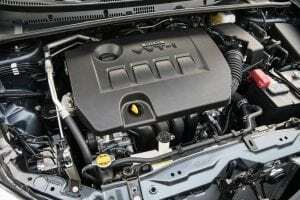 The shifts are okay, although the higher RPM seem to push back a little on the transmission and also create some additional engine noise. 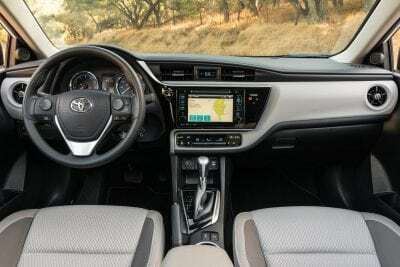 Inside, the Corolla’s recent update saw an uptick in comfort and touch points. The Corolla had some surprising creature comforts including leather-wrapped steering wheel, 6-way adjustable front seats and a moon roof. The rear seat is large with ample headroom. The 41.4 inches of rear legroom leads the segment and is one of the car’s bestselling points. It can function well as a family vehicle and daily driver as such. 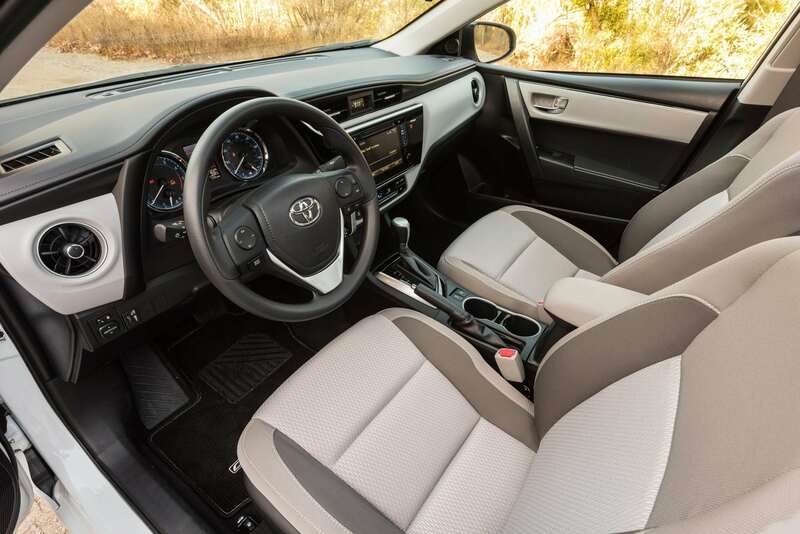 Despite its compact stature, it feels cavernous inside the Corolla. 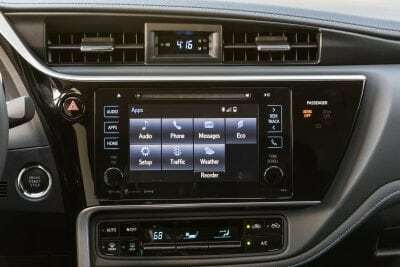 Toyota’s Entune infotainment system is a good system. It’s intuitive and works well on the 7-inch high resolution touchscreen. The commands are responsive and it’s an overall easy system to manage. 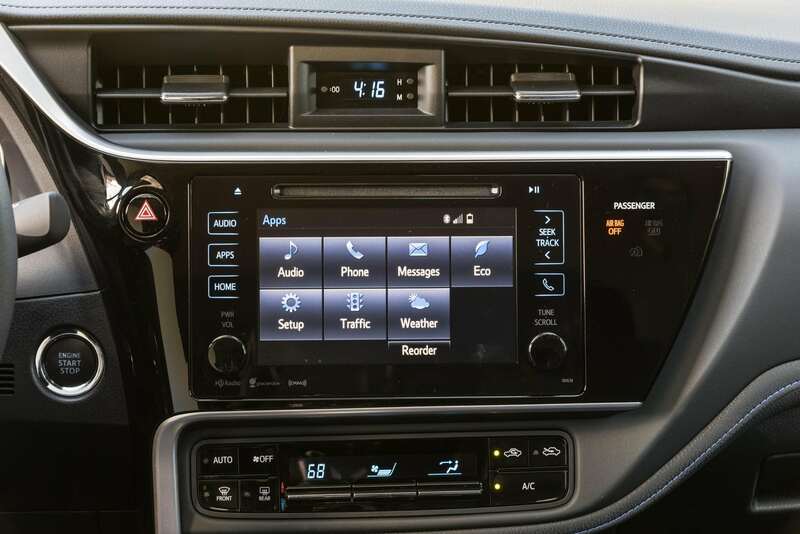 There’s one USB port, but there’s still no Apple CarPlay or Android Auto, which is something more and more consumers want. Personally, I didn’t feel it lacked much, even without CarPlay as my iPhone still had enough features as did the infotainment system. 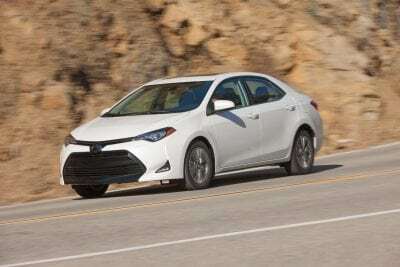 But still technologically, the Corolla is a little behind its competition, but overall the average consumer won’t miss out on much. 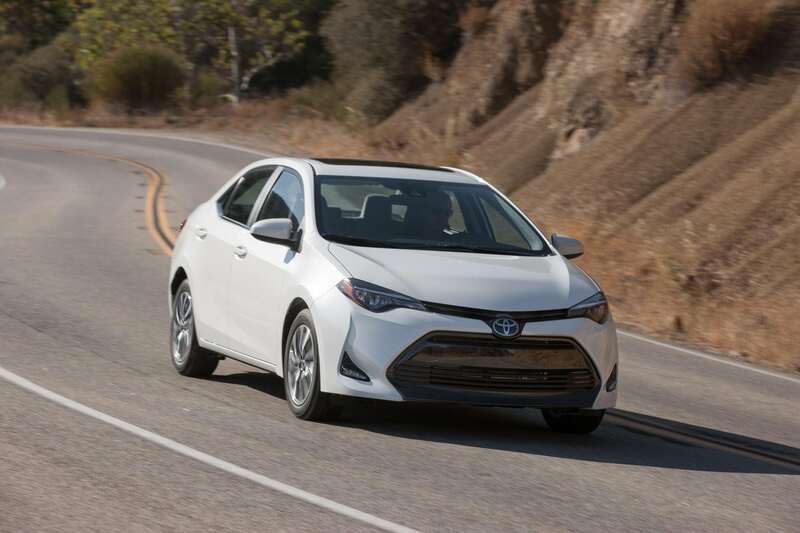 There are six trim offerings for the Corolla: L, LE, LE Eco, SE, XLE and XSE. My tester was the SE trim. Remember the attractive front grille I talked about? Well that’s only available on the SE trim and higher. 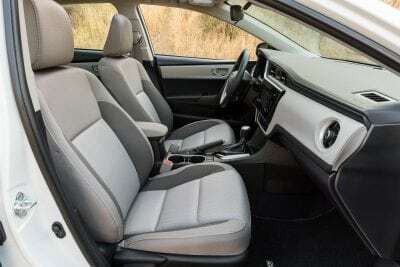 The sport-style seats come with this trim and I found those to be both stylish and comfortable. Plus, the SE trim has paddle shifters to add some enthusiasm to the driving performance. 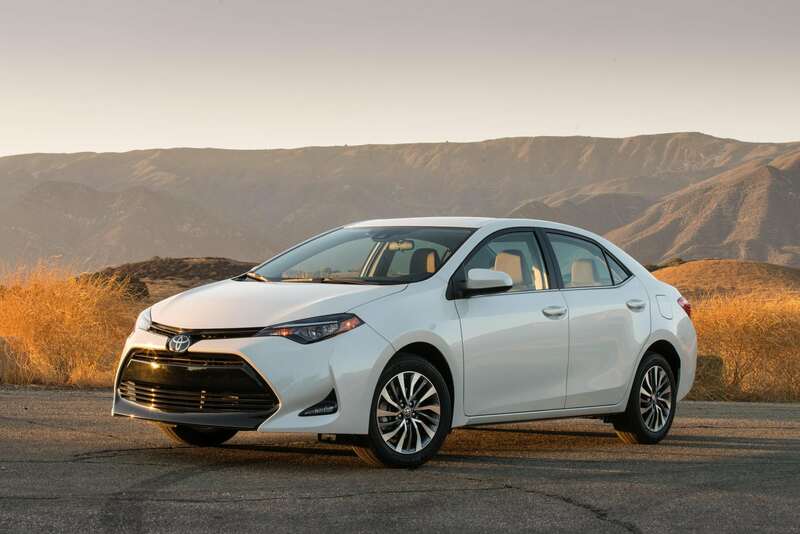 17-inch alloy wheels also add to aesthetics of the Corolla SE as does a chrome exhaust tip. In short, the extra cost of the SE trim is worth it as it jazzes up an otherwise plain jane car. My tester had a starting price of $20,495. 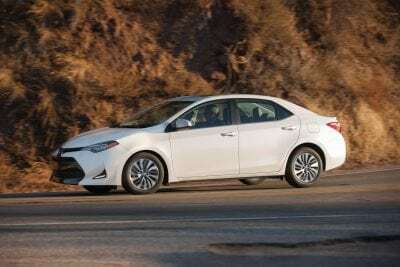 With the premium package, which consists of an upgrade infotainment system and also push-button start and the aforementioned moon roof, my tester had a final MSRP of $22,925. The Corolla is a fuel sipper. You can overlook the boring nature of the engine with an EPA rating of 28 mpg/city and 35 mpg/highway. In a week’s worth of driving, I averaged rough 32 mpg. For more than 50 years, the Toyota Corolla has been a mainstay on the streets. 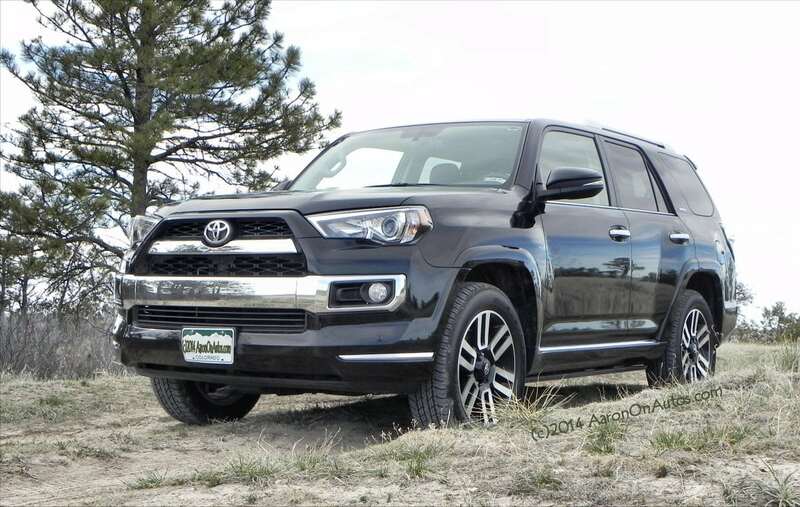 It’s like the chocolate chip cookie of compact cars. It may be simple with little excitement, but who doesn’t like a chocolate chip cookie every now and then?